Jonckheere Coupe 1935. Constructeur: CMF. Manufacturer: CMF. Il est possible de collecter des objets pour max. Marke: Rolls Royce. Typ: Phantom 1. Type: Phantom 1. Formula one 1:18. Jonckheere Coupe 1935. CMF Straßen-Fahrzeuge Rolls Royce. Fabricante: CMF. Tipo: Phantom 1. Factura con IVA. Artículos bien protegidos y embalados. Sus ventajas. tarjeta de crédito. Drophead Coupe 2012. Kyosho Straßen-Fahrzeuge Rolls Royce. Fabricante: Kyosho. Tipo: Phantom. Factura con IVA. Artículos bien protegidos y embalados. Sus ventajas. tarjeta de crédito. FOR SALE IS A 1/43 KYOSHO ROLLS-ROYCE PHANTOM COUPÉ BLACK MINT. THE BEST REPLICA YOU CAN GET FROM A ROOLS-ROYCE AT THIS PRICE. 1:18 PARAGON, 1968 Rolls Royce Silver Shadow mpw 2-doors coupe lhd, regency bronze. coche a escala 1:18 de Diecast del fabricante PARAGON 1968 Rolls Royce Silver Shadow mpw 2-doors coupe lhd, regency bronze. Ixo Straßen-Fahrzeuge Rolls Royce. Fabricante: Ixo. Tipo: Phantom. Coupe 2008. Factura con IVA. Artículos bien protegidos y embalados. Sus ventajas. tarjeta de crédito. Frua Drophead Coupe 1971. Neo Scale Models Straßen-Fahrzeuge Rolls Royce. Tipo: Phantom VI. Fabricante: Neo Scale Models. Factura con IVA. Artículos bien protegidos y embalados. Sus ventajas. tarjeta de crédito. Mulliner Cabrio 1963. Matrix Straßen-Fahrzeuge Rolls Royce. Tipo: SC 3 Drop Head Coupe. Fabricante: Matrix. Factura con IVA. Artículos bien protegidos y embalados. Sus ventajas. tarjeta de crédito. Drophead Coupe 2013. Kyosho Straßen-Fahrzeuge Rolls Royce. Fabricante: Kyosho. Tipo: Phantom. Factura con IVA. Artículos bien protegidos y embalados. Sus ventajas. tarjeta de crédito. Código: Kyosho 08861EW. Se abren las puertas, el propio marco de las puertas tienen el paraguas extraíble típico de Rolls. Fabricante: Kyosho. Este Phantom a Escala 1:18 mide 31 cm. de largo x 12 cm. Farbe: dunkelrot. 1:43 MODELLAUTO. 1:43 MODELS CAR. Scale: 1:43. Maßstab: 1:43. Color: dark-red. 1:43 VOITURES MINIATURES. échelle: 1:43. AUTHENTIQUE KYOSHO. NEUF EN BOITE. ÉTAT DE LA BOITE :A. COTATION : A = état neuf. C = état moyen. B =bon état. Zustand:Neu / OVP. Modell:Rolls Royce Phantom Coupe 2008. Model:Rolls Royce Phantom Coupe 2008. Qualität und maßstabgerechte Details lassen keine Wünsche offen. known manufacturer for Models in Scale 1:43 Quality and scale of detail leave nothing to be desired open. Rolls Royce Silver Shadow Coupe du fabricant Paragon à l'échelle 1/18. NEO Scale Models. Maßstab - Scale - Echelle - Escala - スケール - 规模 1:43. - No d'art. Rolls Royce Phantom Vi Frua Dhc Drophead Soft-Top Coupe 1971 Red Cream NEOSCALE 1:43 NEO46486. ROLLS ROYCE Silver Shadow MPW Coupe. Paragon Models - Modelcar Collection 1:18. schwarz black. CHEVROLET Bel Air - 1957 - red - MotorMax 1:18EUR 37,90. BMW Z4 - red - MotorMax 1:18EUR 32,90. MINI Cooper - red / white - MotorMax 1:18EUR 34,90. Rolls Royce Phantom I Jonckheere Coupe, schwarz, Rechts-Lenker. Original BOS Modell 87115 in 1/87 In Hartplastikbox mit blauem BOS-Umkarton. Rolls Royce Phantom Coupe' 2013 White 1:43 Model [BALKY5531EW]. KONKE SRL Via Vincenzo Maniconi, 73 - 06134 - Ponte Felcino (PG). Per gli articoli provvisti di bollino SIAE, il prodotto deve essere restituito con il bollino integro. Original BOS Modell 87150 in 1/87 Rolls Royce Silver Ghost Doctors Coupe in weiss mit schwarzem Verdeck. In Hartplastikbox mit blauem BOS-Umkarton. Original BOS Modell 87151 in 1/87 Rolls Royce Silver Ghost Doctors Coupe in dunkelrot mit schwarzem Verdeck. In Hartplastikbox mit blauem BOS-Umkarton. Rolls Royce Silver Phantom Doctors Coupe Rhd 1920 BoS Models 1:87 BOS87150. ROLLS ROYCE Silver Shadow MPW Coupe. Paragon Models - Modelcar Collection 1:18. Oxford blau Oxford blue. CITROEN DS3 Cabrio - 2013 - black - Norev 1:18EUR 57,50. LAMBORGHINI Gallardo LP 560-4 - black - WELLY 1:24EUR 14,90. ROLLS ROYCE Silver Shadow MPW Coupe. Paragon Models - Modelcar Collection 1:18. silber silver. VW Volkswagen Golf GTI - 1976 - silver - Norev 1:18EUR 64,50. BMW 335i Coupe - silver - YATMING 1:24EUR 14,90. Rolls Royce Silver Shadow Mpw Coupe Lhd 1968 Brown Paragon 1:18 PAR98204LHD. Zustand:Neu / OVP. 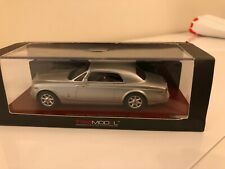 Modell:Rolls Royce Phantom Coupe. Model:Rolls Royce Phantom Coupe. Qualität und maßstabgerechte Details lassen keine Wünsche offen. known manufacturer for Models in Scale 1:43 Quality and scale of detail leave nothing to be desired open. PHAMTOM III. ROLLS ROYCE. COUPE DE VILLE. Rolls Royce Phantom I Jonckheere Coupe Black Rhd 1925 BoS Models 1:87 BOS87115. Rolls Royce Phantom Coupe. Schauen Sie alle Bilder an ! im Maßstab 1:43. seltenes, Sammler-Modell von. Modell in PC-Box. Rare to find ! Rolls Royce Phantom Coupe' Diamond Black 2009 1:8 Model . Per gli articoli provvisti di bollino SIAE, il prodotto deve essere restituito con il bollino integro. Non saranno accettati resi di articoli con il bollino SIAE rotto o mancante. Rolls Royce Fantasma I Jonckheere Coupe Aerodinamica Coupe 1935 BoS Models 1:43 BOS43231. Yatming 8503 Cadillac V-16. Phaeton - silber/schwarz. Yatming 8501 32 Ford Coupe - beige/braun. aus einer Modellautosammlung. Märklin Steckdose UIC z.B. f. Ae 6/6 37363 37360 usw. Weitere Hinweise über uns finden Sie auch auf der m ich Seite.